The concept of a penthouse apartment originated from The Roaring Twenties in the 1920s, when North America, Western Europe and other developed nations experienced strong economic growth and construction boom. This widespread affluence and increased demand for living in the city have given rise to luxury developments on the top floor(s) of buildings – referred to as “bungalows in the sky” by some. In general, penthouses are fully loaded with lavish amenities, higher ceilings, larger floor spaces, superior finishes as well as a panoramic view of the city skyline. Some even consist of private elevators and swimming pools, offering privacy and modern luxury in a community living environment. Mr. Tan Tiong Cheng, the President of Knight Frank Asia Pacific, recalls that the earliest residential penthouses in Singapore were believed to be atop office developments in the Central Business District (CBD). Such examples include Shing Kwan House, Robina House, UIC Building, Marina House and International Plaza — which were initially solely commercial developments in 1968-1969, but were later granted bonus floor area by the government to develop apartments. 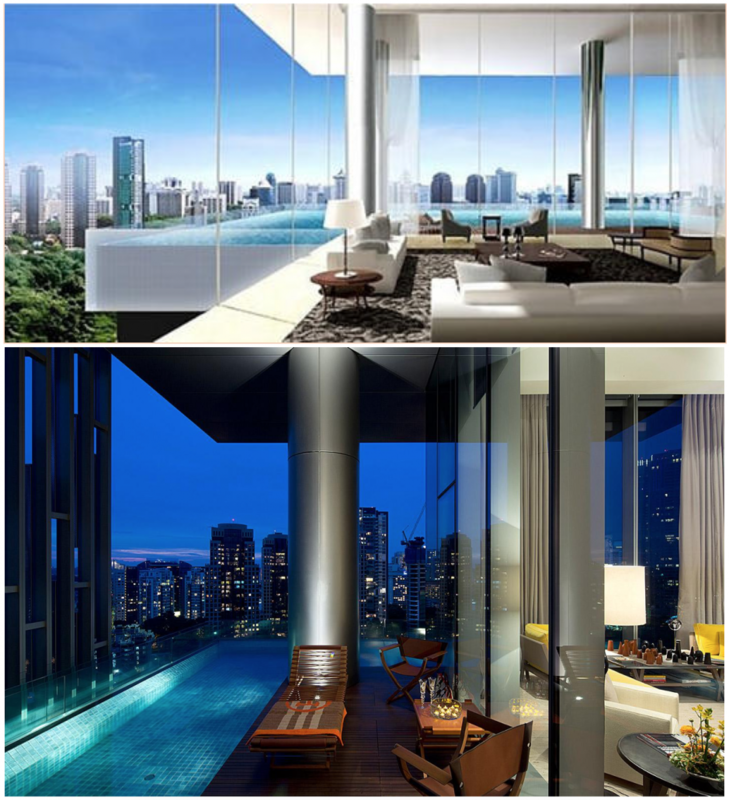 Singapore’s tallest residential development and a 99-year leasehold project on the 39th to 64th floors of Tanjong Pagar Centre, GuocoLand’s Wallich Residence is expected to be granted its Temporary Occupation Permit (TOP) later this year. This is a mixed development project with offices (known as Guoco Tower) below the apartments. Wallich Residence’s super penthouse occupies Levels 62 to 64. As a 21,108 sq ft triplex unit, it offers 5 bedrooms, each with its own en-suite bathroom. In addition, an expansive walk-in closet is also included in the master bedroom and junior master bedroom. What’s more, residents of the super penthouse will get to enjoy the services of a dedicated butler as part of the Wallich Butler Service. As its construction began in February 2011, Wallich Residence has a remaining tenure of about 92.5 years. Ever heard of the record-breaking penthouse purchase by Alibaba co-founder Sun Tongyu in 2015? Situated on Ardmore Road, the penthouse is part of a 33-storey single-tower freehold condominium development designed by Jean Nouvel, a renowned architect and winner of the Pritzker Architecture Prize 2008 and Wolf Prize in Arts 2005. Spanning the highest two levels of the residential building, the 13,573 sq ft unit consists of five bedrooms, with a family area and a study area on level 32. 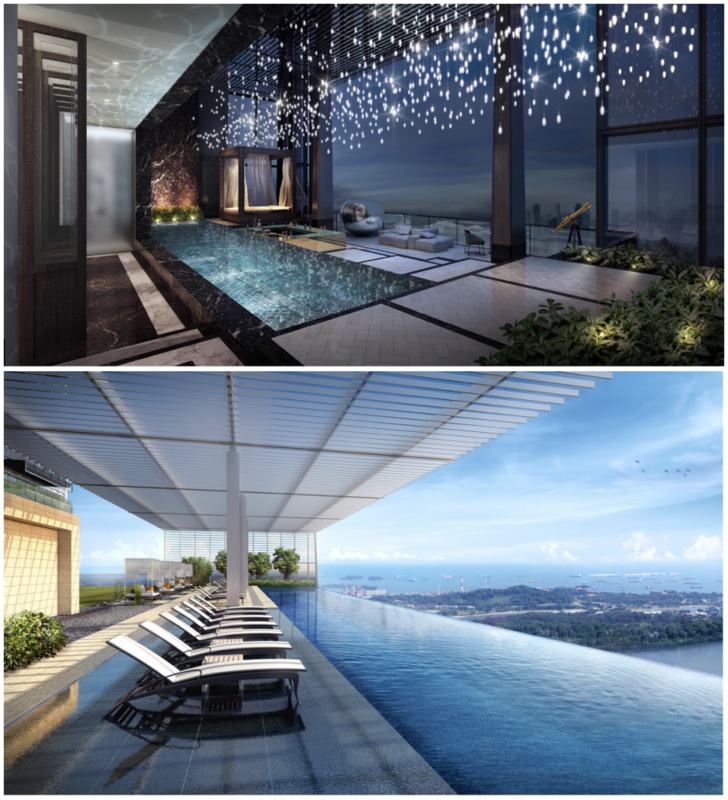 On the other hand, Level 33 features a private pool, private foyers, roof terrace, a gym, and an entertainment area. Fun fact: This record absolute price for a penthouse purchase has also made a then 26-year-old real estate agent to become an overnight millionaire, who appeared on various headlines as a result. The Marq on Paterson Hill is a freehold project which comprises two 24-storey towers with 66 units. The super penthouse is located at the top three levels in the Signature Tower of The Marq, and received its TOP in 2011. Besides spacious and exquisitely furnished dining areas on the lower two levels, this 17,500 sq ft unit consists of five bedrooms as well as a “secret” den with an entrance concealed by a rotating cabinet. Its roof terrace features a private pool and a barbecue pit amongst other facilities. Furthermore, residents will gain access to a dedicated lift, private lift lobby in the basement car park and four designated carpark lots too. However, when approached, SC Global said that the unit is not for sale. 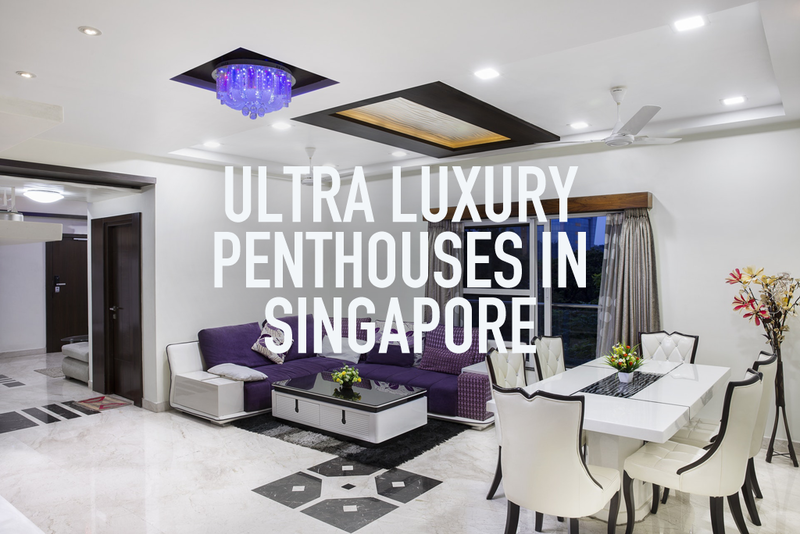 The above mentioned are just some examples of ultra-luxury penthouses at the higher end of the spectrum, which command eye-popping prices. 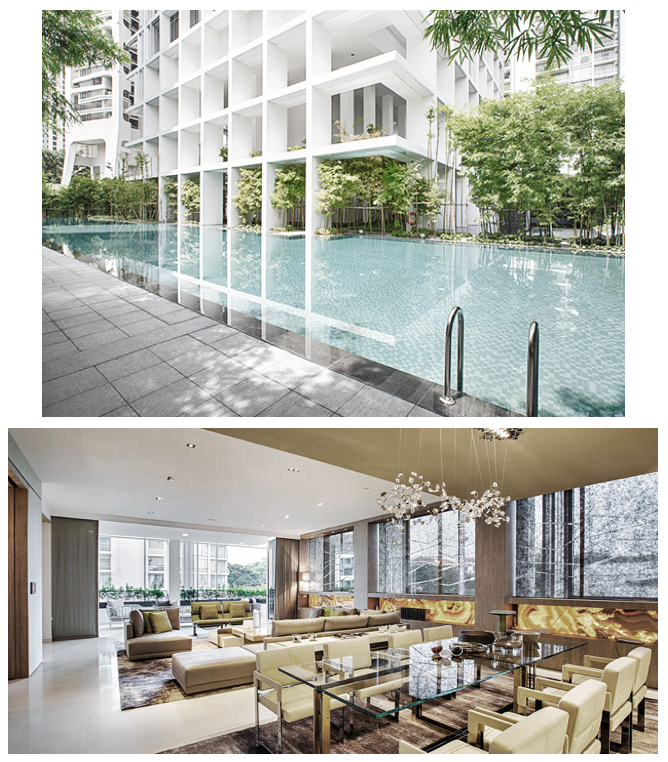 Typically, penthouses are available for sale from about S$2.5 million to S$15 million: Forest Woods’ was sold for S$2.85 million; One Balmoral’s at S$4.48 million; The Edge on Cairnhill’s at S$7.28 million and more recently, City Harvest Church Founder Kong Hee’s Sentosa Cove penthouse had been relisted for S$11.5m. According to R’ST Research Director Mr. Ong Kah Seng, it is estimated that 99-year leasehold penthouses outside the central region cost about S$850 to S$1,200 psf, while the prices of freehold penthouses on the city fringes range from S$1,400 to S$1,800 psf. In Singapore, the penthouse market is mainly dominated by foreigners — who are not permitted to buy landed properties, except those in Sentosa Cove. Coupled with the decline in Singapore luxury home prices in the past few years, these “bungalows in the sky” offer an attractive value proposition to foreign investors, especially when such prices have been rising in most regional markets. A report by JLL shows that the cost of home ownership in Singapore is at 19%, in spite of buyer’s and seller’s stamp duties, comparable to that of other global cities such as Hong Kong, London and New York which range from 14% to 26%. Unlike foreigners, Singaporeans and Singapore Permanent Residents (SPRs) have the freedom to explore the option of purchasing the crème de la crème of the landed housing market aka Good Class Bungalows (GCBs), if you have your eyes on prime residential properties. On another note, in the case that you are a prospective homebuyer who might be unsure of what GCBs have to offer, do check out this article to help you understand more! Andrew spent the last 7 years working with private bankers, advising high networth clients on their mortgage matters. As a highly efficient banker, he has won many sales awards during his employment with one of the largest lenders in Singapore.